Four tier wedding cake at The Grand Hotel, Eastbourne, East Sussex. 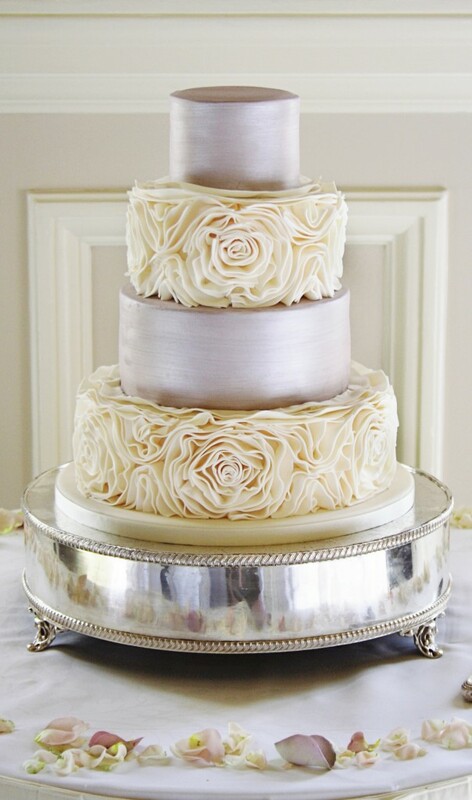 Decorated with ivory sugar ruffles and pale soft lustred finish to alternating tiers. 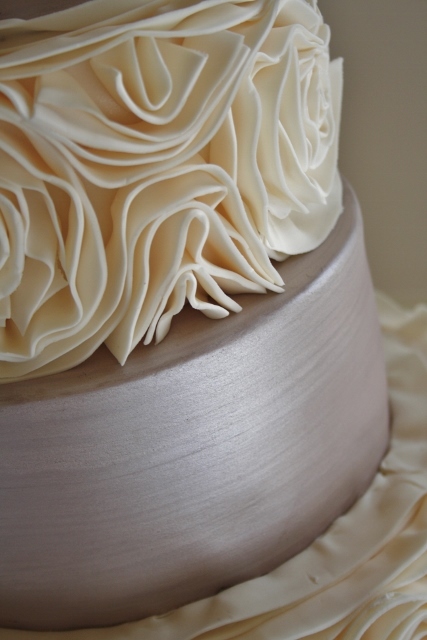 Each tier finished with sharp edges. Base tier and tier two of fresh lemon zest sponge with whipped lemoncurd buttercream. Tiers one and three of Belgian couverture chocolate sponge with whipped Belgian couverture chocolate ganache filling. Cake serves 130 finger portions.